Based on your fitness levels and goals, iFit Coach recommends specific workouts and delicious recipes to set you on the right course. Work out anywhere in the world with an iFit Coach Membership. 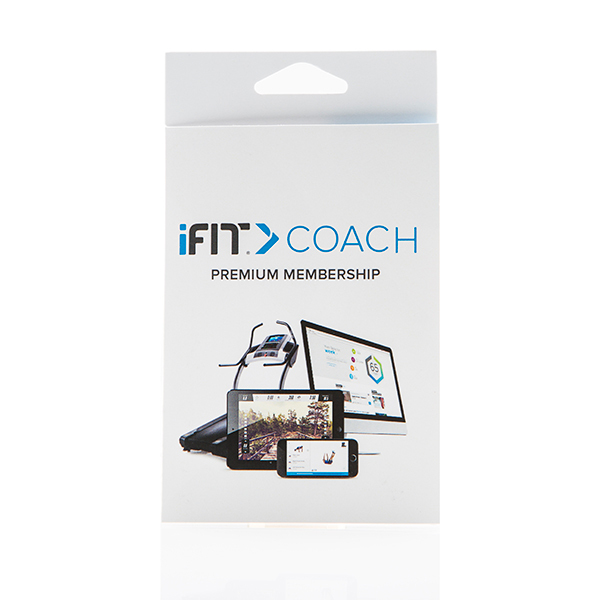 An iFit Coach membership is like having a personal trainer, a gym membership, workout classes, a nutritionist and unlimited plane tickets for four people. With workouts powered by Google MapsTM, you can experience it all. From Paris to Sydney, you can work out around the globe with breath taking street view images right on your equipment console or tablet. Plus, with terrain matching technology, you'll feel every hill and dip, as if you're actually outside. Featuring hundreds of training programs designed specifically for your equipment, iFit Coach makes working out easy and fun. You'll have access to unlimited resources to help you succeed whether it's crushing your next event, or just getting the body you've always wanted. Tell iFit Coach what you've eaten. Based on your caloric intake and daily activity, a daily meal plan is automatically created for you to achieve your fitness goals. It also features recipes you can follow and video tutorials from nutrition experts. iFit Coach automatically records all of your workouts, so you don't have to. It's the easiest way to see your improvements and measure your progress. With the iFit fitness tracking technology, every minute, every mile and every calorie is accounted for and even used to influence future exercises and nutrition plans. Think of all the money you'll save in time, gas and hassle when you join iFit Coach. Suitable for use with the Tour de France 1.0 indoor cycle trainer (sold separately).